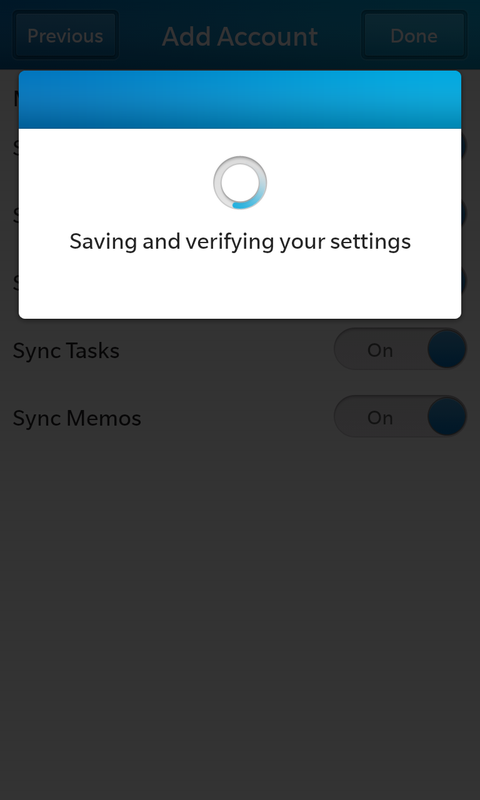 Google Sync now officially supports BlackBerry 10 devices, so this workaround is no longer necessary. To see updated instructions, click here. 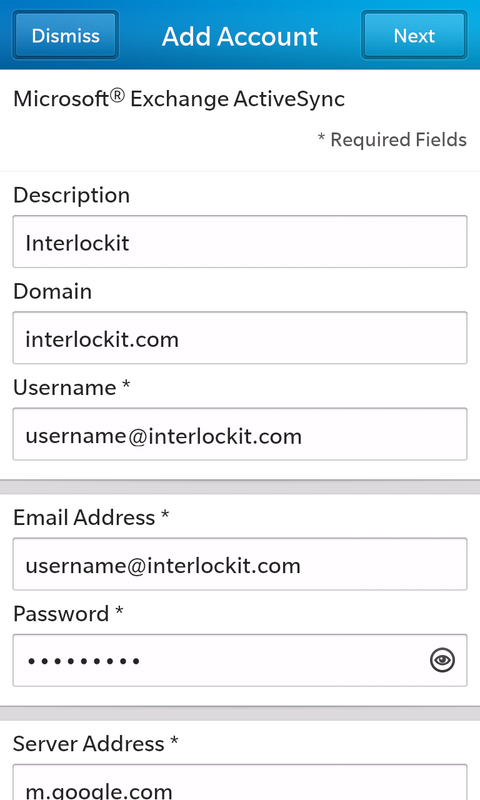 As you can imagine, being a Google Apps reseller means we here at Interlockit.com get to experience all the joys (and challenges) of dealing with a vast array of different mobile devices. The newest kid on the block is the BlackBerry Z10, which just so happens to be BlackBerry's first smartphone to support Microsoft ActiveSync. 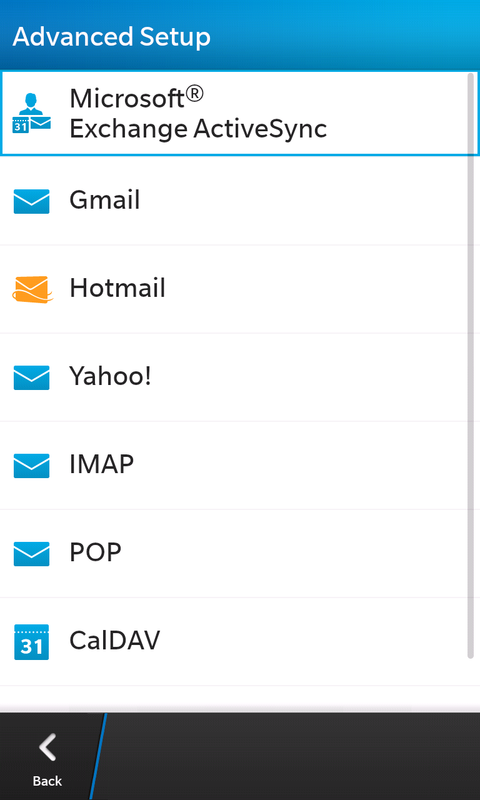 Unfortunately, much like its iOS and Windows Phone relatives, the Z10 does not differentiate a Gmail account from a Google Apps account, so it needs a little hand-holding to make use of these new available features. 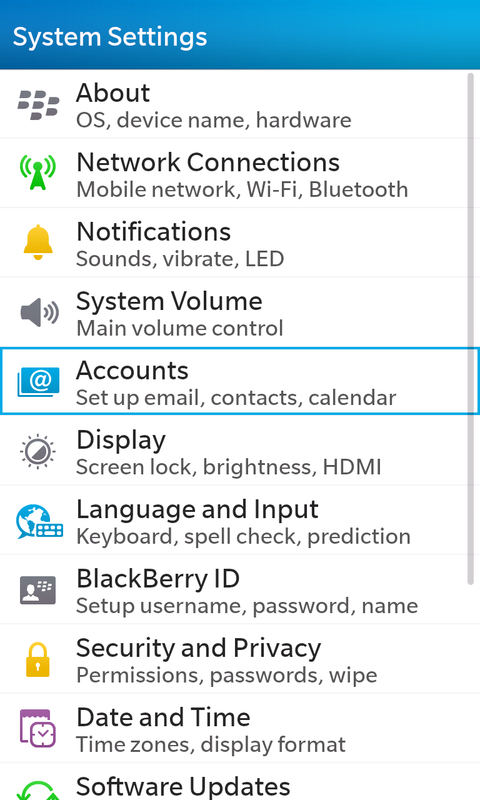 Follow this guide to ensure your new Z10 is syncing your email, contacts and calendar with your Google Apps account. Let's jump right in! 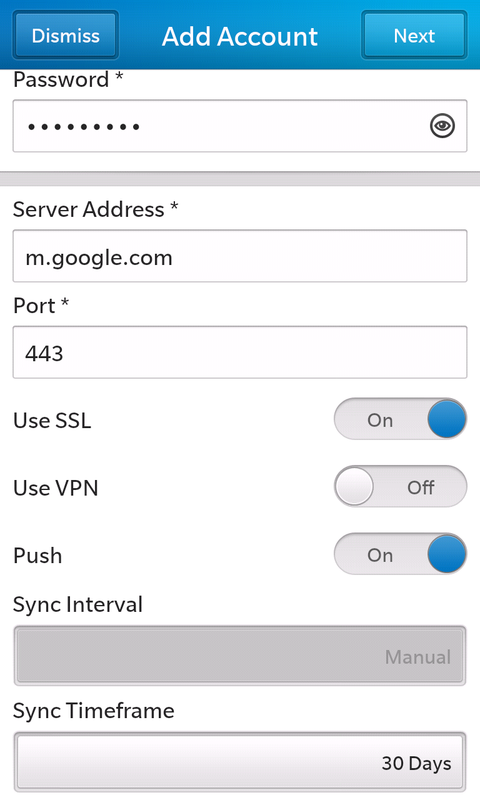 Put your Google Apps password in the Password field, and use the server address of m.google.com on port 443. 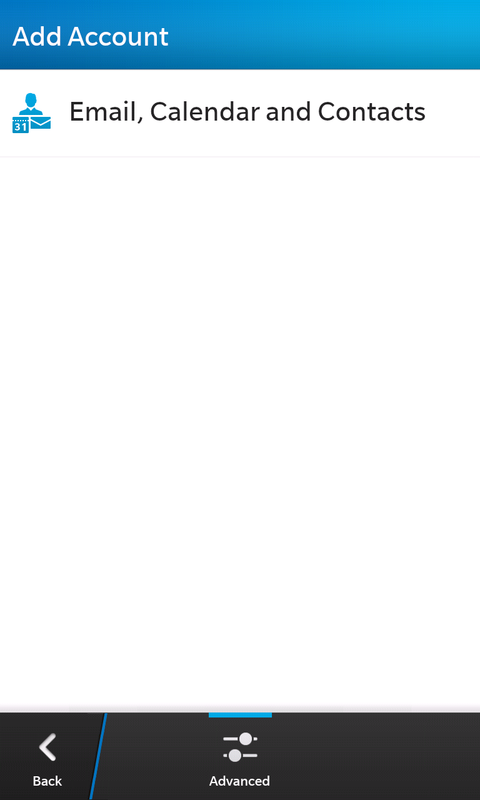 Turn both SSL and Push on, but leave VPN off. 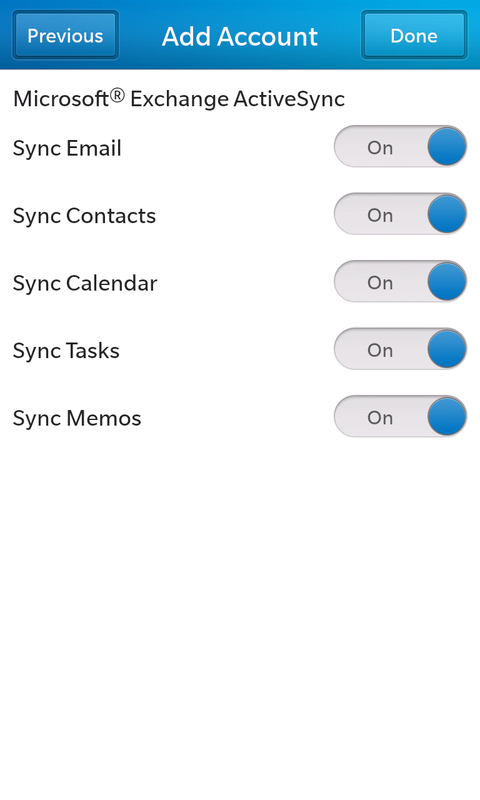 You may also choose the Sync Timeframe, which determines how much email content to keep on your device. Breathe a sigh of relief while reflecting upon the days of yore, filled with calls to your service provider to reset your BlackBerry Internet Service password. As you can see, BlackBerry has the beginnings of a winner with the Z10; let's hope they keep it up! 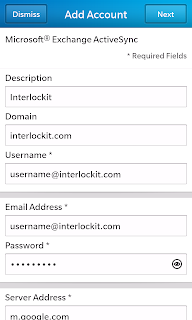 Thanks to +Nicolay Doytchev for the screenshots!